EVERYTHING ON GOD'S HAND. THIS BABY TOO. He is now admitted in ICU. 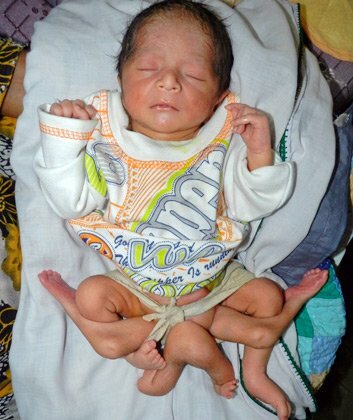 Pakistan Doctor's are struggling to save the life of this boy who has six legs because of a rare genetic condition. This boy's father was a x-ray technician.